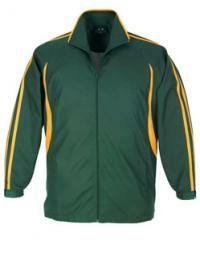 Tracksuits are an important part of a sports uniform. 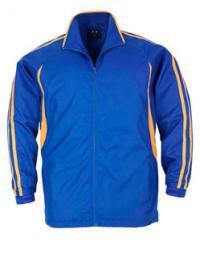 A well-designed tracksuit should refect the team's on-field or on-track uniform, while being warm, comfortable, flexible, waterproof and formal enough for official events. 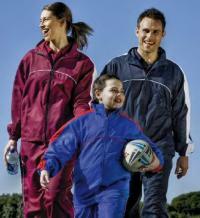 Done right, your team tracksuit will be a perfect ambassador of your team when you're up collecting your trophies! We'd like to be part of it. 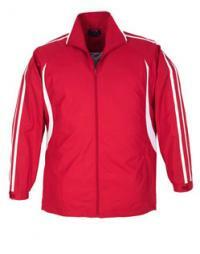 Branded takes great care with its tracksuit designs to ensure they are modern and stylish. Our cuts are tailored to your sport and team. We match your colours and put your brand on prominent display. It would be our pleasure to learn more about your team and talk about a tracksuit to sui.